There are 14 reviews of Boss The Scent. Boss The Scent by Hugo Boss (2015) is certainly interesting on paper, and the execution rather novel, almost contrarian in the face of what has otherwise been popular in the masculine realms of designer mall scents, but I don't really know if I can do more than acknowledge the creativity here. In principle, Boss the Scent is a men's fruitchouli. You heard that right, and I'm not joking. There's a rich leather, patchouli, and labdanum base underneath a heart made from an intensive singular exotic fruit note coupled with lavender, giving Boss The Scent a love-it-or-hate-it sweetness which is evident by the division in opinion on it online. I'm not gonna lie, I miss when Hugo Boss took risks like with the debut Boss/Boss Number One (1985) or Boss in Motion (2002), but the fact remains that risks seldom pay off in the beaten-to-death demographic-driven world of middling designer fragrances, aka anyone under Dior, Chanel, YSL, or Tom Ford trying to compete in the same market space. Azzaro, Versace, and a few others manage to stay creative, but many have just given into following rather than toying with whatever new aromachemical playthings they're given. Well, it's nice to see Boss doing something bold after so long, but they couldn't have picked a more disagreeable and ubiquitous feminine perfume subject to try making masculine. 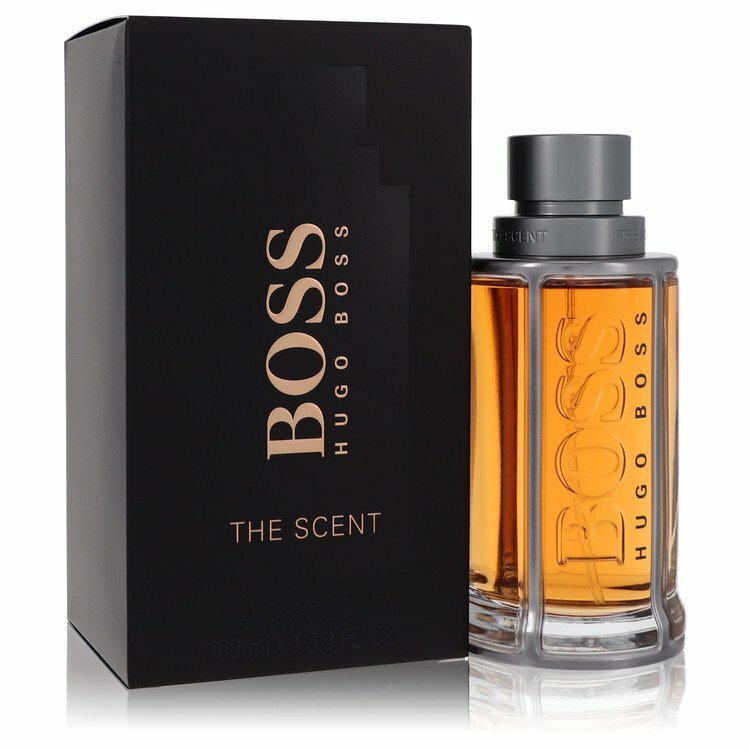 Boss The Scent opens with a nice citrus and ginger accord that eases you into what is to come within just a few minutes: The Manika fruit. This ingredient comes from the oncoba spinosa tree, colloquially known as the snuff-box tree. The fruit is most commonly used for medicinal purposes and is not something that has been used before in perfumery, but here it takes on a dried apricot and peach kind of smell, which reminds me a lot of Miyako by Auphorie (2015) which coincidentally came out in the same year. I suspect zero collusion with Auphorie and Hugo Boss because one is a two-person artisinal perfume operation, and one a multi-national fashion brand, but boy do they smell similar! The Miyako is built up to be more floral because of the osmanthus, while the Boss has lavender for a more traditionally barbershop feel, but both have leather in the base which is all but smothered by the fruit up top. Cistus and patchouli join that leather, and there are probably some aromachemical amplifiers here too because this stuff just pushes and pushes like an old-school powerhouse, reaching levels of cloying close to Joop! Homme (1989). I love fruity, dandy, genderbending scents, but stuff this candied scares even me away, although I applaud its sassy approach for a supposed masculine. Longevity is 10hrs+ and sillage is nuclear, so be careful wearing this one. I see this being an excellent club scent in the right setting for somebody into fruity smells, but this will never touch my skin for any purpose again beyond this review.. I couldn't pull this off, but that doesn't mean I can't respect somebody who can. I have a standoffish relationship with fruity florals and fruitchoulis as it is because they are mostly unrelenting sweetness and body wash/shampoo notes that drive me into a flashback of days spent stocking the Wal-Mart health and beauty aisle, so I won't touch them unless they are particularly dry or complex for their genre. To see one hammered out for men is surprising, especially coming from a "tow the line" designer like Hugo Boss, but when they go out of the pocket, it's always interesting even if not always wearable. I'm still of that crotchety mindset that their first masculine fragrance is still their best, so everything maybe gets unfairly compared to it, but overall, I'm pleasantly surprised by Boss The Scent. This is a far cry from the generic aquatics or woody amber bombs they could otherwise be unleashing on department store counters, but also a far cry from anything most CISHET men would feel comfortable wearing, so in that regard it is very unlike a typical Hugo Boss scent. If you can wait it out long enough, that leather note does start to dominate the fragrance and make the fruit pipe down, but we're talking late in the dry down enough that it is a skin scent by then, so I still can't give this a thumbs up (and neither could I for the Miyako as well). 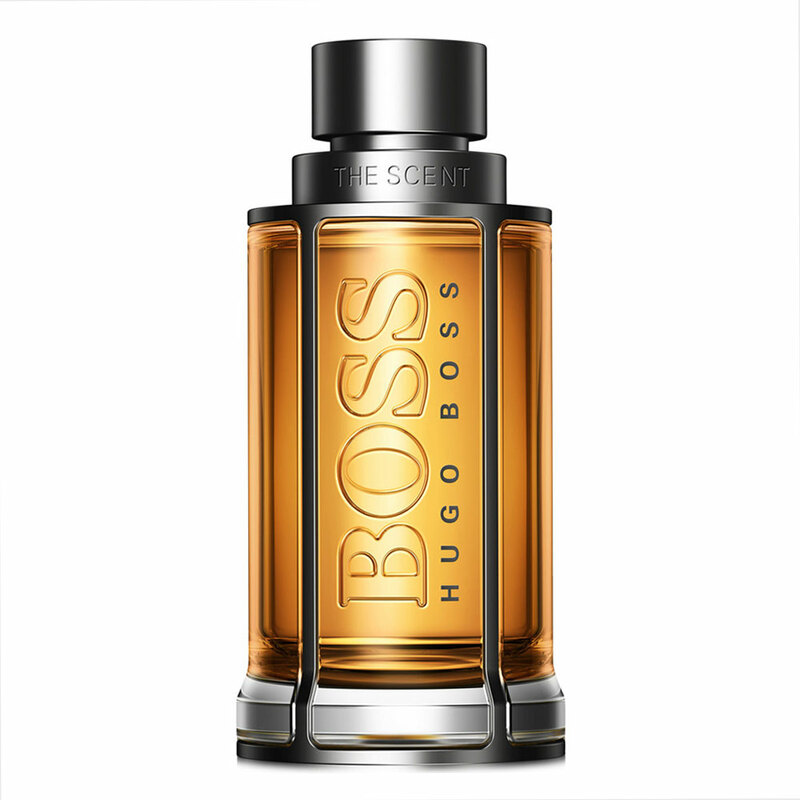 Bizzare, divisive, and unforgettable, Boss The Scent by Hugo Boss gets kudos for going in very unique direction, but kudos don't equate to a thumbs up, at least from me. Any time you research Hugo Boss "The Scent", you will always see mixed reviews. I'm honestly not sure as to why because this is a fantastic scent. It's simple but complex. Definitely more of a fall and winter fragrance to me, but wouldn't be heinous to wear in the spring and summer. It has a leathery note to it but isn't overwhelming. I would suggest if you're going to purchase this fragrance, buy the intense version for much better performance and also a slightly stronger note of ginger in the opening. Overall, I like this scent. My wife does as well and also it is a compliment grabber. It projects decent and lasts 4-6 for me. I've smelled and worn worse, but at least many of those had some character. I'm not sure what the intent was with The Scent since it seems like it pulls in many directions, going nowhere. Best I can summarize is that it's generically fresh and sweet with moderate projection and longevity. Not bad, but not really good at anything. Decent new scent from Hugo Boss. At first, this fragrance was only available at Macy's; now, it's pretty much anywhere you look, which isn't a bad thing. Not totally unique, but I like its leathery, ginger and lavender based quality...good, non-cloying basic scent for work and a night out with friends. Doesn't last too long on me, but otherwise I'd say give it a sample spritz and see what you think. One of those ‘Oh please, not again’ versions of a slightly spicy and fresh woody ‘masculine’. The sickly sweet wood’n’spice aromachemicals that form the backdrop are now so common in budget masculines they should be listed as bulking agents. They provide a recognizable filler, shading in the vast blank spaces of the perfumers’ imagination when asked to bring a product to market that will cost pennies and sync with the unwavering mediocrity demanded by market testing. Up front is a peppy lavender that sadly instantly conjoins with the syrup in the base. There’s a hint of ginger, something vaguely resembling fruit on the turn, and some irritating aromatics that are like garish copies of herbal accents à la Cool Water. There’s nothing of the vaguest interest here. Hmmm...I definitely like it, but after you get past the top notes (which happens quickly), it smells very similar to Dior Homme Parfum in the drydown, albeit a weaker version. On me, it's a skin scent after 3-4 hrs and lasts for 5-6 overall. Hugo Boss Men's Boss The Scent Eau de Toilette, 1.7 oz. Hugo Boss The Scent Parfum?? NEW: Hugo Boss - Boss The Scent Parfum Edition! NEW: Hugo Boss - Boss The Scent For Her Parfum Edition For Women! NEW: Hugo Boss - Boss The Scent For Her Intense For Women!